NOTE: This list is from gravestone readings, enhanced by information from obituaries and other sources. 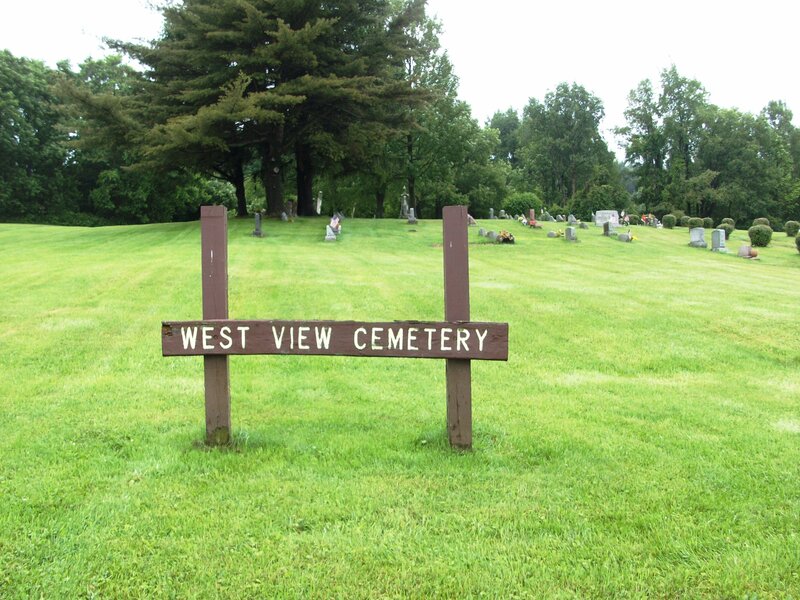 It is not an official record of the cemetery. CROCKER, Lemuel , spouse of Almena Crocker , born abt 1804 , died 14 Feb 1864 , age 65y Think that the death years & ages are switched for Lemuel & Almena. ENDRES, Albert Leo , spouse of Bernice L. Brenner , born 22-Jul-1893 , died 23-Dec-1963 s/o Mathias & Anna Endres ; WW I & II veteran-Major 1st Bat. 106th Field Art. MALONE, Ruth Elora Wallace , spouse of Thomas Malone , born 1918 , died 25-Apr-1950 d/o Edwin & Mary Rolison Wallace ; stone reads "Ruth Wallace"
MCCARTNEY, James Henry , spouse of Bernice Runyan , born Aug 1844 , died Oct 1925 s/o Henry & Amanda Prentice McCartney death year on stone reads "1926"
RUNYAN, Hannah Wilkins , spouse of Reuben Runyan , born 1820 , died 18 Nov 1903 ; death year on stone reads"1904"
SANFORD, Edward Charles , spouse of Mary Agnes Nixon , born 24-Nov- 1848 , died ?-Feb-1914 s/o Thomas Jefferson & Sybel Angenette Stedman Sanford ; stone reads "Edward P. Sanford"
WILCOX, Stephen , died 1965 ; no info on stone, just an engraving of a guitar w/ phrase, "May the Circle Be Unbroken"